High-challenge sprinkler systems are the prevailing design for fire suppression in a warehouse. Racked storage systems for flammable commodities are frequently addressed by ESFR (Early Suppression Fast Response) and Large Drop sprinklers. In some cases, installations require in-rack sprinklers to address the needs of the storage system. For most warehouses, additional means of fire protection are necessary. When warehouses have special environmental constraints, additional measures must be taken. Specialty warehouses like ones for storing pharmaceuticals or frozen goods require features which go beyond code minimum sprinkler requirements. The impact of a fire in this type of environment has varying affects. The product damage from the smoke in itself can be devastating. One must also consider the damage caused by sprinklers, extinguishment, and restoration efforts (e.g. loss of inventory, water damage, business interruption, demolition, and reconstruction). There are four types of fire protection systems recommended for pharmaceutical and freezer warehouses. Each of these systems varies in its effectiveness and primary goals. Higher performance systems include fire detectors with faster response times to notify personnel of a problem so damage can be minimized. 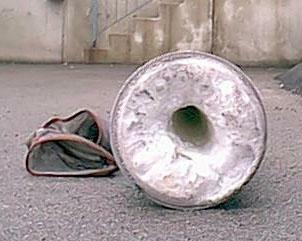 Basic approach—Dry Pipe Sprinkler. The approach meeting minimum fire code in a pharmaceutical warehouse is a wet sprinkler system. Often a wet system is upgraded to a dry system to either protect the stock below pipes filled with water or to keep the pipes from freezing in applications below 40°F. The primary goal for this type of system is life safety. Detection of a fire depends on activation of the sprinkler system. Industry Standard—Pre-Action Sprinkler Activated by Linear Heat Detection Cable. In addition to life safety, the primary goal of this system is property protection from an accidental sprinkler discharge. It uses linear heat detection cables at the ceiling or strung throughout the racks to release a dry, pre-action sprinkler system. Heat detection cable is an economical solution for fire detection. A pre-action arrangement of the sprinkler system requires both a sprinkler to fuse from a fire and heat to fuse the cable. This minimizes water damage in case of an accident in the warehouse. Especially where in-rack sprinklers are installed, forklifts are common enemies of these systems. A single forklift accident can both damage a sprinkler pipe and break the heat detection cable causing an unintended release of water in to the space. Any work to repair these systems must be done in very cold temperatures which dramatically slows productive labor. Best Practice—Pre-Action Sprinkler Pressurized with Nitrogen and Activated by Air Sampling Smoke Detection. The primary goal with this system is to maximize business continuity, maximize system longevity, improve serviceability, and avoid unnecessary damage to the system. While the sprinkler portions of this approach are the same as the industry standard, instead of pressurizing the system with compressed air, this system is pressurized with dry, 98% nitrogen. The nitrogen comes from a nitrogen generator which uses compressed air to generate pure nitrogen. This process produces nitrogen gas with a dewpoint of -40°F to -70°F to fill the sprinkler system. The Factory Mutual Data Sheet on Refrigerated Storage recommends gas with this level of dryness to avoid the formation of ice plugs in the sprinkler pipes. 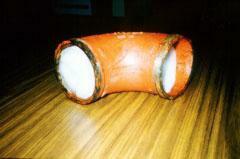 An ice plug, when formed, will not allow a sprinkler system to operate. Using air sampling smoke detection (ASSD) allows for several performance improvements. First, the system will have a faster response to the fire by sensing smoke while the fire is very small. This allows for personnel on site to address the condition before a flaming fire breaks out. Second, most air sampling systems, as opposed to heat detection cable, sense smoke only at the ceiling of the warehouse, well away from the forklift damage zone. Finally, in some cases, fire modeling has been used to prove that an air sampling system installed at the ceiling level will outperform a linear heat detection system installed in the racks. Ceiling-only installation of ASSD sampling pipes allows for a system which is cheaper to install than linear heat detection, more serviceable, and will not accidentally discharge water from the sprinkler system. Best Practice—Pre-Action Sprinkler Pressurized with Nitrogen and Activated by Video Image Smoke Detection. Many times owners of freezer warehouses will choose to upgrade their problematic linear heat detection system to a better technology. In the case of an operating warehouse, this can be a challenge. One way to achieve performance close to air sampling smoke detection is to use Video Image Smoke and Fire Detection (VISD) cameras. The Fike Signifire Video Image Smoke and Fire Detection camera is a UL Listed and FM Approved fire detection system which can be retrofitted into a warehouse. 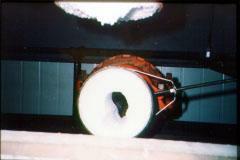 A Signifire camera can detect flames from a fire and in some conditions in a freezer, detect smoke. Cameras are mounted inside the freezer within heated camera enclosures. In most installations conduit and wire to connect the cameras to the fire panel is located outside the freezer panels in the heated space, saving time and money. If you have an application where air sampling or VISD is worth considering or have further questions regarding fire protection in specialty warehouses, ORR’s experts can help. Click Here to Ask the Expert.